In order to take your birthday celebration to the next level, you absolutely need to book some phenomenal luxury transportation. And that is where we come in. Think about how cool it is going to be to travel around for your birthday in an awesome vehicle that has been dubbed a party on wheels. Also, your group will be together for your entire event and will not have to carpool which really ruins the mood. For such a special celebration as this, you need a special vehicle to get around in. And with our reliable transportation, you can count on arriving at each venue you have picked up at the time that you want to be there. And what convenience, you will be picked up and depart each one when you are ready. Not only are our vehicles well maintained in every way, we also have the best drivers around and they know the area roads like the back of their hands. So, you are probably wondering how your birthday experience will be enhanced by our fabulous limo buses. Words truly can't express how amazing our vehicles are but we will try. When you step on board one of our fun filled vehicles you are going to look around and be blown away. Comfort is the word we think of first when we think of our wraparound seating area. Prepare to not want to get up from the special leather and padding you are going to feel under you. The bar areas are unbelievable with granite tops, built-in coolers which we will put ice in and champagne flutes to help celebrate your special day. Get ready for some awesome visuals as well with some high definition televisions with DVD capabilities. The concert quality sounds system has a subwoofer and iPod/CD/MP3 inputs. And what would a birthday be without some dancing so get out there the custom wood flooring of the bus and wheel around the dancing pole. In fact, you are not going to want to exit yoru special vehicle when you do reach your venues. If you aren't convinced yet, we might need to discuss something else. Have you thought about how bad the traffic in the Chicago area is. The last thing that you want to do is be sitting in downtown Chicago traffic when you should be partying with your friends and family. So, leave the driving to our professional driver and let that be part of your birthday gift. And if you think about it, you don't want to be driving when you have had a few drinks anyway. With us, you will not only have a blast on your big day but you will also make it back home alive which is always a great thing. 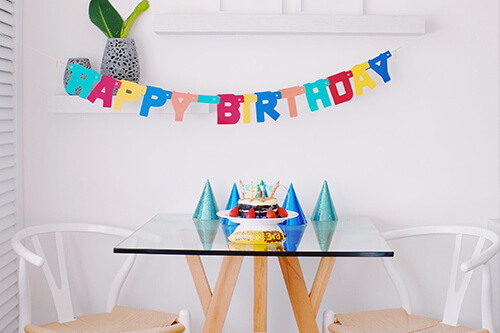 So, make it a birthday to remember by making us a part of your day. Our customer service agents love talking about all things limo bus related and will be able to talk about all of the options and fit you and your group to the perfect vehicle. 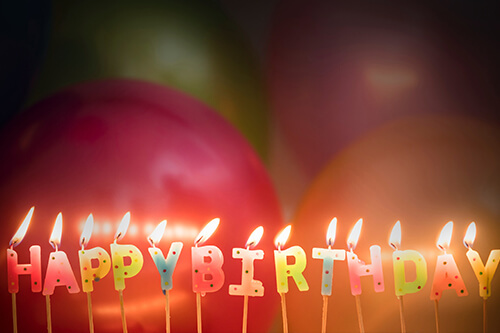 Let us be the first to wish you a happy birthday and make sure you call us today to talk about your plans. We promise to never pressure you into anything. Our representatives are available all day and all night so feel free to call at your convenience.